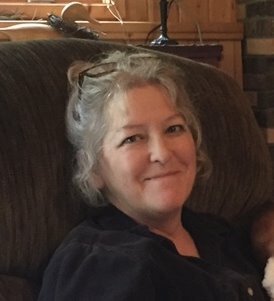 Kathleen Mary Smith, age 60, of Walker, MN, passed away on Saturday, January 19, 2019, at Sanford Hospital in Fargo, ND. Kathy was born on February 16, 1958, in Mora, MN, to Duane and Ann (Bourdon) Moran. She moved all around MN as a child when her father worked for the DNR. She graduated from Bemidji High School and attended Bemidji State and then St. Cloud State graduating with a degree in business and psychology. Throughout her college career she worked as a waitress in many different places. On September 15, 1984, she was married to Michael Smith in Bemidji, MN, and the family made their home in Walker, MN. She owned and operated Creative Cakes and Such from her home but was most of all a devoted wife and mother. Cooking was her therapy she would say, and she loved to take care of people. The kids always had the coolest birthday parties and she was an excellent hostess. She always gave more of herself than she ever asked for in return. Her memory will be cherished always, and presence forever missed. Kathy is survived by her beloved husband of 34 years, Mike Smith of Walker, MN; daughters, Melissa (Kyle) Bolander of Duluth, MN; Megan Smith of Walker, MN; and Katy (Brad) Smith of LaPorte, MN; grandson, Cooper Smith; father, Duane Moran of Longville, MN; and siblings, Pat (Barb) Moran of Longville, MN; Mike (Sally) Moran of Winona, MN; Laurie (Mike) Cassidy of Sheboygan, WI; and Dan (Heather) Moran and Tom (Becky) Moran both of Bemidji, MN; as well as many nieces, nephews, cousins, and friends. She was preceded in death by her mother, Ann Moran. Memorial Service: Friday, January 25, 2019, at 1:00 pm at Northern Peace Funeral Home in Walker, MN with a visitation time from 12:00 pm to 1:00 pm. Visitation: Thursday, January 24, 2019, at Northern Peace Funeral Home from 5:00 pm to 7:00 pm. In lieu of flowers donations can be made to Basset Buddies Rescue or Paws and Claws in Kathy’s name.